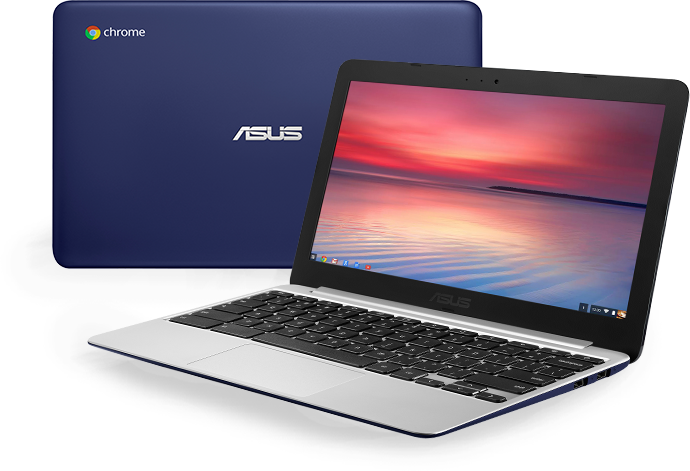 I am writing this post from the keyboard of my new Asus C201 Chromebook. Normally, I research my technology purchases to death, reading every review and weighing every choice, however, when I saw the $159 little Asus, I was honestly a little excited by the possibilities and my thoughts started racing. Are these little inexpensive laptops a game changer? Has Google really created an ecosystem that is a reasonable option over the purchase of a Mac or a PC? At such a low cost, these small laptops could become as common as a smartphone while providing greater utility. So for a modest investment I can experiment without the post purchase guilt. But it's more than that. I have a perfect use case for this little Chromebook, my everyday laptop is a top of the line 17 inch beast that is quite frankly more of a portable desktop than a true laptop. I really needed a portable email machine and lightweight writing tool without the power cord, heat, and slow to boot and slow to shutdown behavior of my Windows laptop. I had tried to keep my email and writing to a cellphone and tablet but without a keyboard, my messages tended to be short and tagged with an apology for my brevity. I'm hope this will be easier and may even give me the motivation to get back to this blog.